A dedication ceremony to commemorate the historic designation of the Lipscomb ceremony was held on Saturday, July 15, 2006. 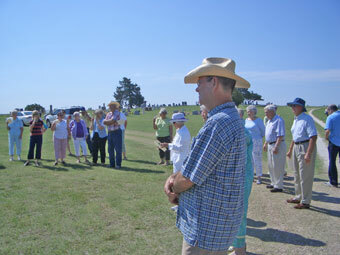 The Saturday Morning unveiling of the Texas Historical Commission Cemetery medallion was held at the entrance to the Lipscomb cemetery. 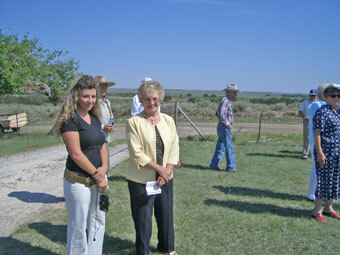 Kay Turner and Jess Allen opened the ceremony by raising the flags onto the new flagpoles. Sammy Sparks Jones, a Lipscomb County former resident gave the invocation and LaVaun Kraft, Lipscomb cemetery registrar unveiled the marker that records a short history of the cemetery. LaVaun Kraft was instrumental in securing the funds to purchase the marker using personal contacts and letters to families that had family members buried in the cemetery. 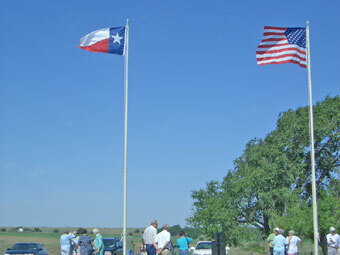 Lance Bussard constructed the flagpoles Lane Hill and Merle Kraft assisted in the setting of the flagpoles and marker. 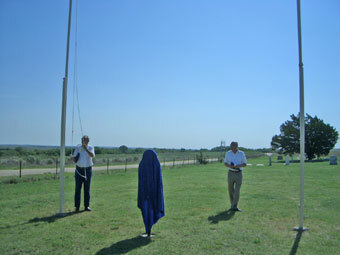 Jim Bussard, Bill King, BP and Holmes oil companies donated the material for the poles. 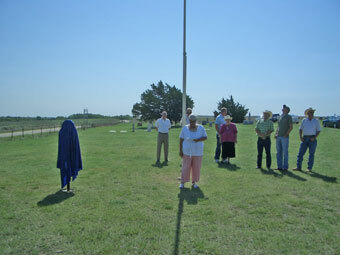 The dedication ceremony followed a lengthy application process to the Texas Historical Commission with a second application supported by the Lipscomb County Historical Commission to provide the marker. The Designation of a Historic Texas cemetery is reserved for cemeteries that are at least 50 years old and are deemed worthy of recognition for its historical association. The Lipscomb cemetery was formed in 1887 with the burial of Fred Mehlhop. Many Lipscomb County officials, schoolteachers, ranchers, farmers and military veterans are buried in the beautiful cemetery that overlooks Wolf Creek and the rolling pasturelands. The ceremony was well attended with more than thirty people. This was the first activity of a weekend full of reunions and celebrations in Lipscomb.